The Thirteenth Billy Boyle WWII mystery by James R. Benn is available now! 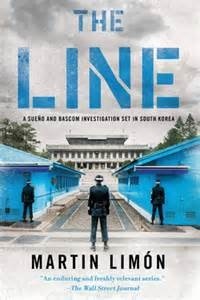 Martin Limon's Korean conflict murder mystery is number 13 in his series of Sueno and Bascom thrillers. Be sure to view the slideshow above for author's photos and book covers! Here are two riveting books that are a tribute to American and allied service men and women. 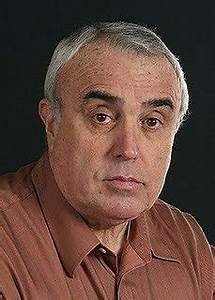 Each book is number 13 in two separate series – one by acclaimed novelist James R. Benn, the other by equally accomplished author Martin Limon. As a gift, they all have stand-alone plots and can be read in any sequence. James Benn’s critically acclaimed Billy Boyle WWII murder mysteries combine fictional characters with real-life heroes and historic facts to greatly heighten the plausibility of every dangerous twist and turn in his well-crafted and cinematic plots. His personal travels and extensive research made him aware of the ordinary men and women who heroically saved lives, and many who lost their own, on the battlefield and behind enemy lines. launch. 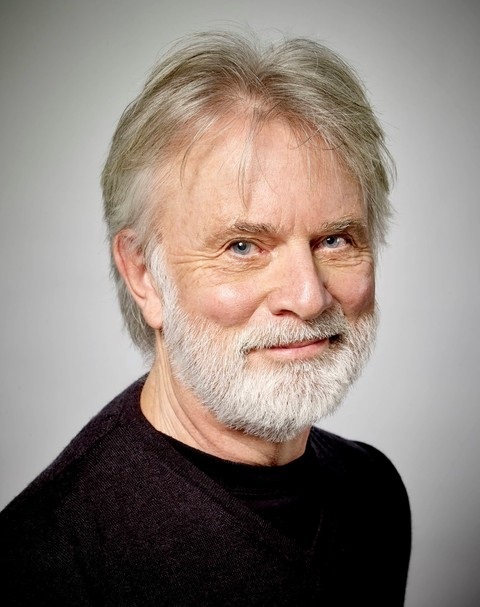 It's the veterans like him who contribute realism to the Billy Boyle stories." 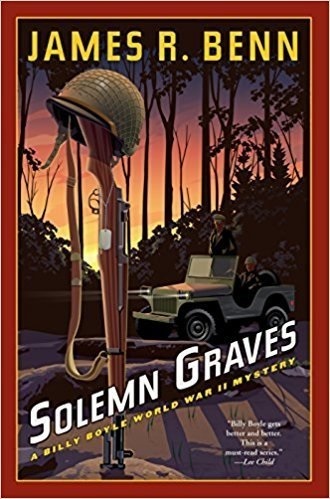 The newest Billy Boyle WWII mystery novel, Solemn Graves, reveals a recently declassified and startling historic fact, which, if leaked in June 1944, could have sunk the Normandy invasion. Bennonce again has created a can’t-put-it-down book. This time Capt. Boyle, a former Boston detective, and his team, including Chicago cop Big Mike, partner up in Normandy to solve the murder of an American officer in a heavily guarded HQ close to the front. The victim of the murder, an army officer, Major Jerome, was found dead in the sitting room of a farmhouse owned by Madame Janvier. The madame, despite it being wartime and her home and cider mill occupied at various times by both Allied and Nazi soldiers, carries on trimming her apple trees, and stoically goes on with her day-to-day life. She begrudgingly offers her hospitality to the armies of both sides in exchange for survival. The book is crackling with a plethora of red herrings, edge-of-your-chair terror, and non-stop action. Much care has been taken to lead the story down one road, only to find it blocked by a destroyed stone wall or bombed out church- thereby creating a U-turn onto another questionable path. This perfectly crafted tale incorporates hair-raising historic fact and prominent people involved in the European theater, especially Normandy - interwoven with the fictional characters that are mainstays in James Benn’s action-crammed mystery novels. This is one of those terrific sagas that will keep you up all night, turning page after page of non-stop adventure. And for those readers on your Vet and holiday gift list, this is a winner. Highly recommended. Among critical acclaim across the country, The New York Times Book Review calls Benn's novels "Spirited wartime storytelling." Acclaimed author and army vet Martin Limon has again hit the target with his 13th military murder mystery The Line. As always, Limon’s books are richly enhanced by his twenty years in the US Army, including five tours of duty over ten years in Korea starting in 1968. His heroes, Sergeant George Sueño and his partner, Ernie Bascom, are stationed in Korea with the US 8th Army in the 1970s. They investigate crimes in which US Army personnel might have been involved. Meanwhile, George, who is very interested in Korea and its culture, does what he can to soften everyone’s bad opinion of Americans in Korea. To prevent a full-scale North Korean attack, George and Ernie must solve the murder of the South Korean soldier. A US soldier is suspected and is quickly charged with the murder by higher authorities. Even though George and Ernie present hard evidence that proves he’s innocent they are shockingly taken off the case.